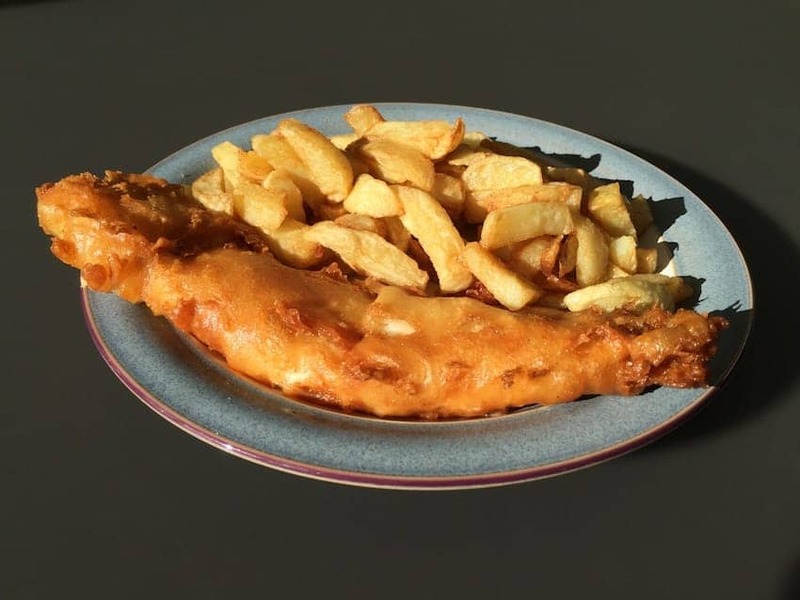 Fish and chips is one of the favourite English meals since its origin in the second half of the 19th century. A fish and chip shop is normally a fairly basic takeaway. The fish is typically haddock and is usually fried to order. The fish is coated in flour, then dipped into a batter of flour mixed with water or beer and fried in vegetable oil. The chips are thick cut, salt and vinegar added after.